Idaho officials don't have to destroy information right away that came from tracking collars placed on wolves and elk by a helicopter crew that landed illegally in a wilderness area where engines are prohibited. A federal judge earlier this week agreed to delay his order to destroy the information collected from the collars while the Idaho Department of Fish and Game appeals to the 9th U.S. Circuit Court of Appeals. But U.S. District Judge B. Lynn Winmill rejected the agency's request to lift his ban on using any of the information. "We're proceeding with the appeal to ultimately allow us to use these scientific data in future decisions," Fish and Game spokesman Roger Phillips said. The agency in January 2016 put collars on four wolves and 57 elk in the Frank Church Fire of No Return Wilderness. Western Watersheds Project and other conservation groups sued. Winmill ruled that the U.S. Forest Service broke environmental laws by authorizing Fish and Game to land helicopters in the wilderness to collar elk. 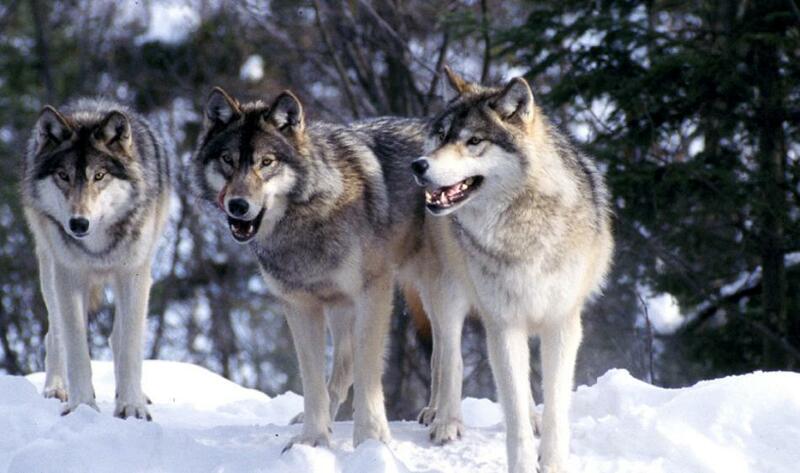 Idaho also collared four wolves in an action the Forest Service didn't authorize. Fish and Game blamed miscommunication with a helicopter crew. The judge said the case was such an extreme violation that he ordered the destruction of data from the collars. In delaying his order for the appeal, Winmill wrote that "while the court is confident in its ruling, the circuit (court) may disagree." He said Fish and Game would be harmed if his order was overturned but the information had already been destroyed. Tim Preso, an attorney for environmental law firm Earthjustice that's handling the case, said the groups will press for the destruction of the information in what could be a precedent-setting case for wilderness areas. "This is a case about an illegal action in wilderness creating the threat of further harm to the wilderness," he said. "If they can do that in one of the premier wilderness areas in the Lower 48, then they can do it anywhere." The 3,700-square-mile (9,600-square kilometer) mountainous and inaccessible River of No Return is considered a sanctuary from which young wolves disperse in search of new territory. Idaho officials have previously targeted that population by sending in a state-hired hunter in 2014, killing nine wolves. Idaho officials say the collaring is part of a statewide elk study. They have been concerned that wolves in wilderness are having a detrimental effect on elk populations pursued by sport hunters. But environmental groups contend that wilderness areas are specifically set aside to allow for natural prey-predator dynamics free of human interference and that the River of No Return is one of the few wilderness areas large enough for that to happen. Besides attorneys, only one person at Fish and Game has access to the information from the collars, Phillips said, adding that it's not being used to make wildlife management decisions.